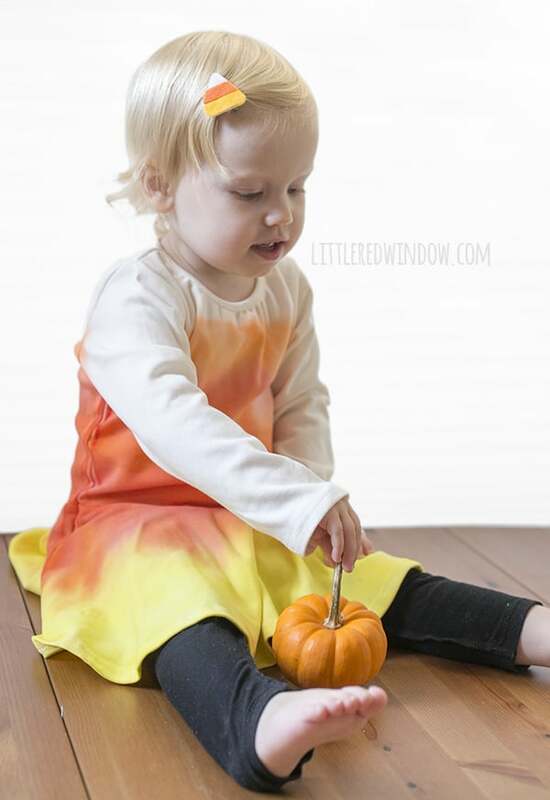 Make this DIY Candy Corn Costume and adorable Candy Corn hair clip with this quick and easy tutorial! 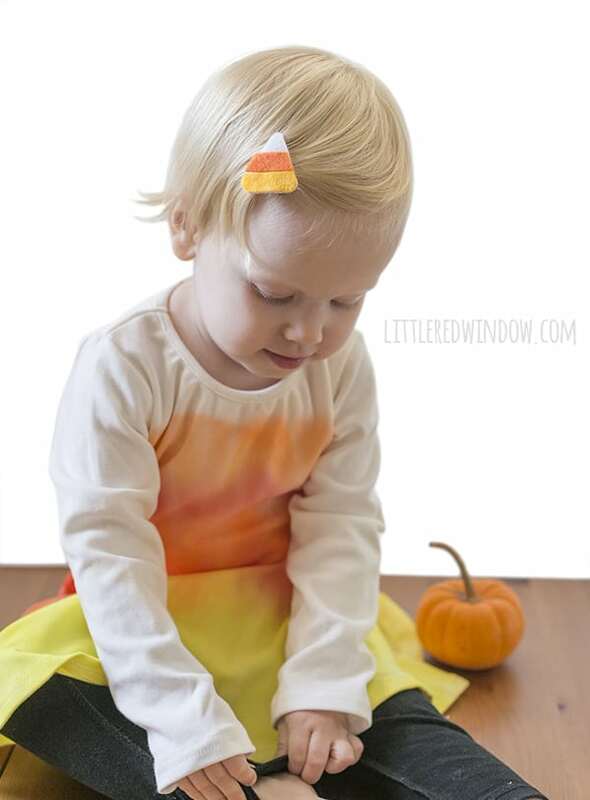 You guys, I had so much fun making this adorable candy corn costume and candy corn hair clip! Gone are the days when I could spend an entire Saturday making a Thomas the train costume from a cardboard box, so this year we went with simplicity. Baby V is starting to have a lot of opinions and it also always on. the. move. So I wanted a costume she could play and have fun in and not worry about need to be adjusted or breaking. 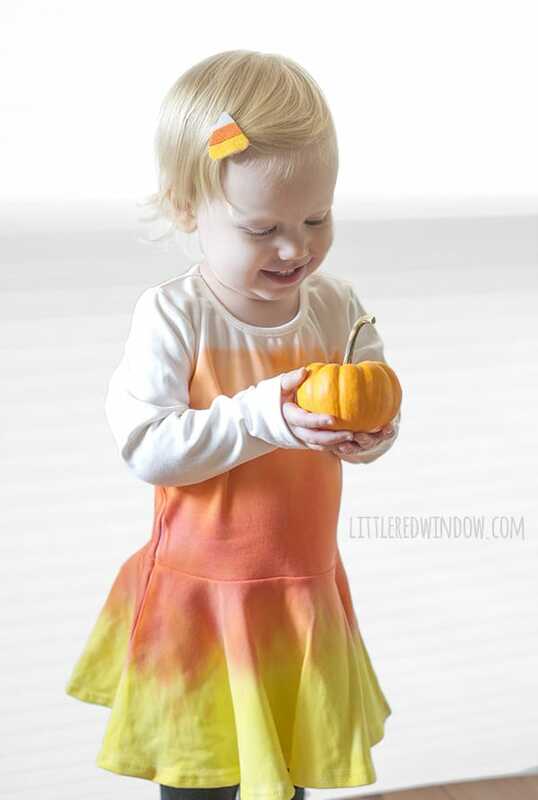 Now, obviously there are a lot of candy corn costumes out there. But most of them involve sewing. Not my candy corn outfit! 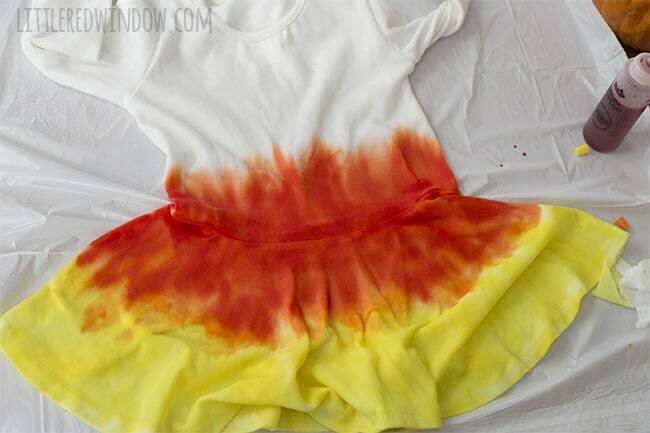 I went with tie dye so it was super duper easy and FAST! 1 . 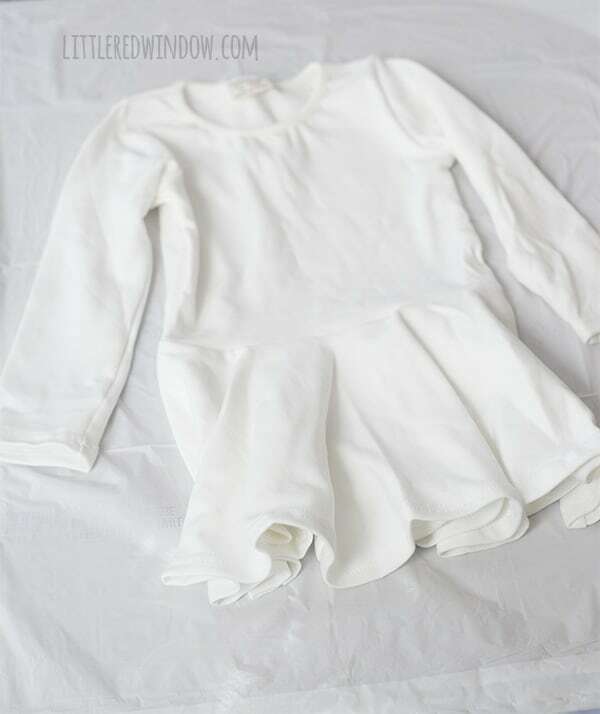 It’s probably a good idea to wash and dry your dress or shirt before you start. Then make the bottom half damp and lay it out on top of spread out garbage bag or sheet of plastic. 3. 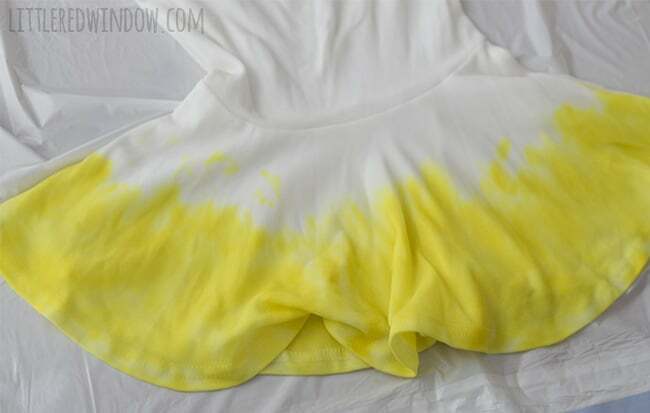 I started with yellow dye along the bottom of the dress, making sure it went all the way through to the back as well. 4. Then I added orange above. 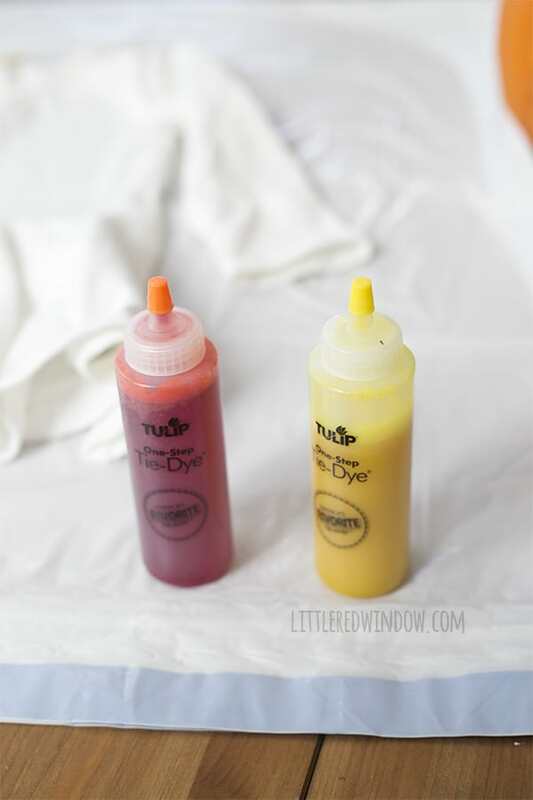 You can see, from this photo versus the finished product, the orange bled quite far up the dress so next time I would make a narrower stripe of orange. Luckily real candy corn has more orange than yellow so it’s realistic! 5. Let that sit or dry according to the instructions on the dye and then rinse until the water runs clear. MAKE SURE to rinse from the white top part down so the white part stays white! 6. 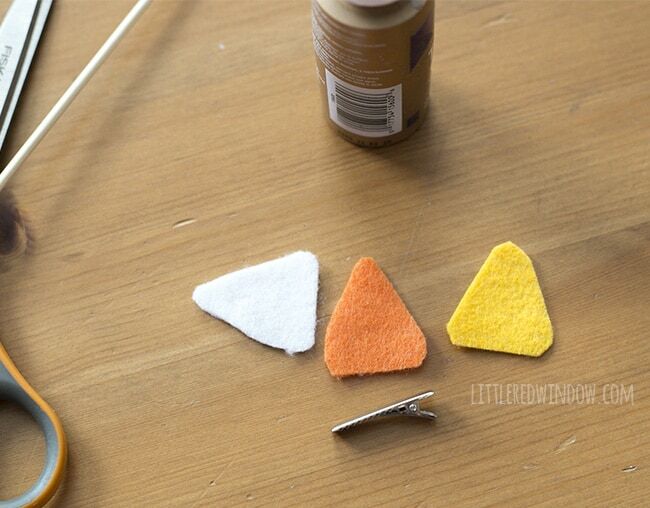 While your dress/shirt is drying, grab your felt and cut three triangular candy corn shapes. Mine are about 2 inches long. 7. 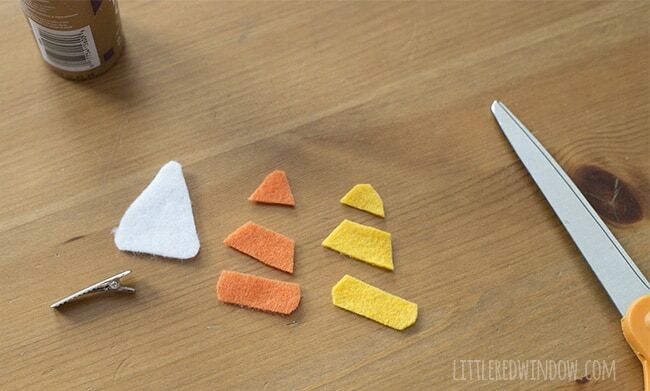 Then stack the orange and yellow triangles and cut them in thirds at the same time like this. 8. Finally, take the bottom third from the yellow triangle and the middle third from the orange and glue them on top of the white triangle like this. 9. 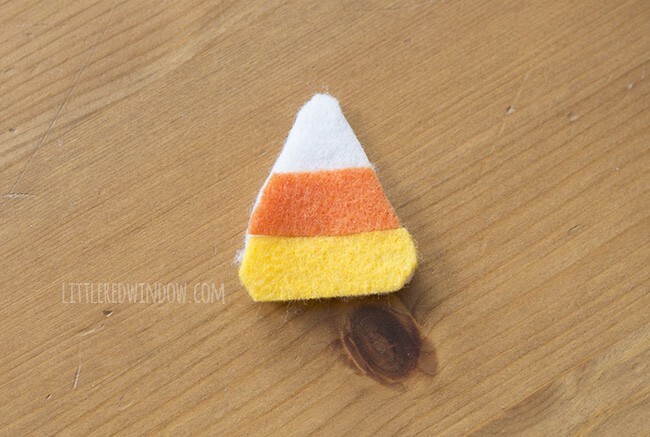 Finally glue the felt candy corn to the hair clip with a thick dollop of glue and let it dry. 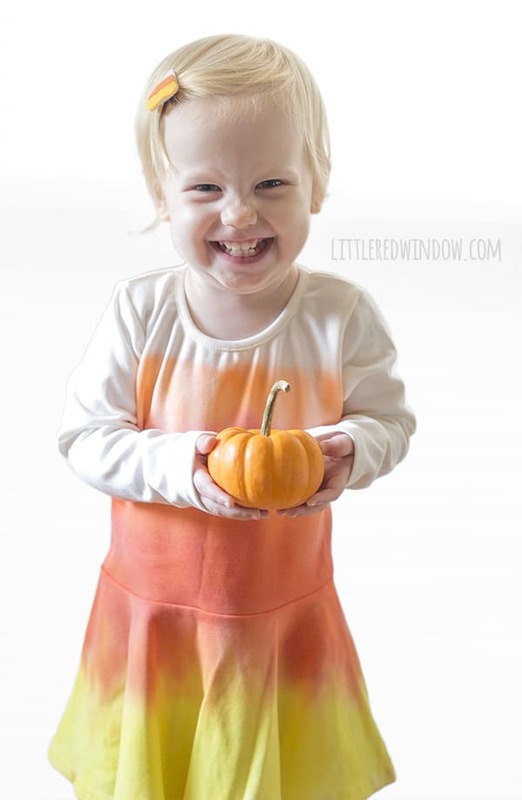 Your adorable candy corn halloween costume is finished! Trick or Treat!